South Africa is still recovering from the effects of the 2016 drought. Most of us now have a heightened awareness of the impacts of droughts, floods and toxic algal blooms in our dams, which are predicted to get worse with climate change. Was this drought the wake-up call we needed to get us ready for a new normal? In preparation for National Water Week 2017, WWF-South Africa teamed up with international leaders in scenario planning, the Boston Consulting Group (BCG), to explore our possible water futures. Scenario planning is a powerful tool to help individuals, companies and governments stretch their thinking as well as assisting leaders in our society to tackle uncertainty in what lies ahead. WWF-SA and BCG held a workshop with industry, government representatives and water sector leaders to explore two key uncertainties in our water future - the availability of water and the state of governance of the sector. This report summarised that exploration and the scenarios that look ahead to potential realities of 2030. 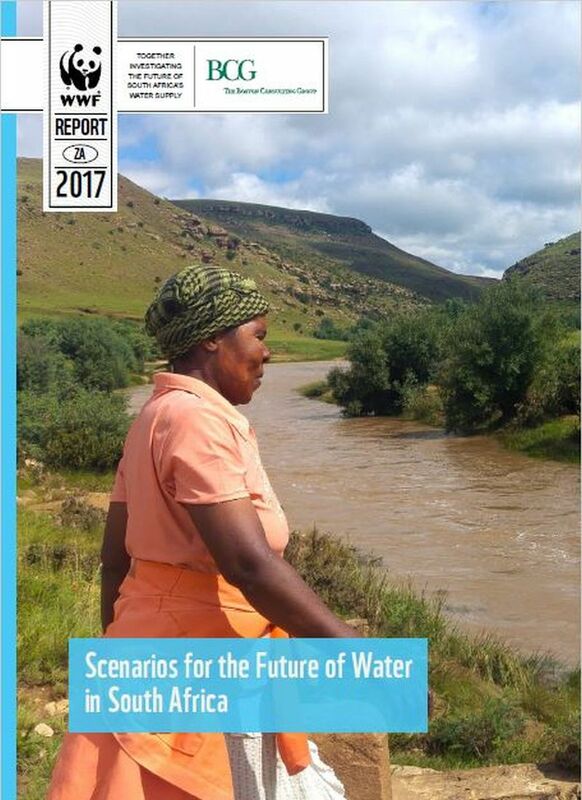 Through this report, you and your organisation can use the scenarios to consider what part you can play to help South Africa overcome the current crisis, as well as prepare for and even shape the future of freshwater supplies in South Africa. The discussions on our future also revealed 'no-regret' options that would help all organisations prepare for an uncertain water future. Implementing these options now, will help prepare for all eventualities.